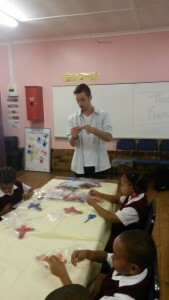 One Heart Christian Foundation is a great organisation to do a teacher assistant program with. 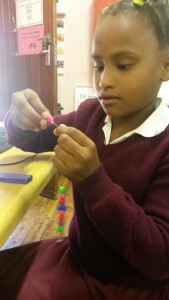 Everything is organised and the organisation is very flexible in the needs of the volunteer and school. It’s just so comfortable to work with them. You can do extra projects. For example, there’s always more to do when it’s a special holiday. and they will help you in any way they can! There is always a possibility to discuss what ever needs to be talked about and there is never any problems. They will make sure you have a bed and food and a really good time! 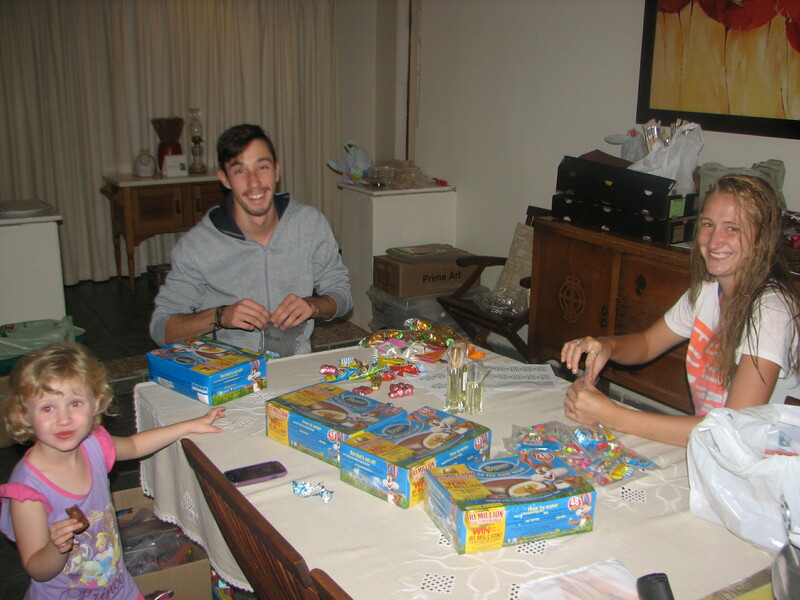 It is great to stay with the family of the founding directors! You feel so welcome! I think it’s a good thing you live with the person who runs the organisation because it’s much closer to you and you know what’s going on and what’s happening. And it’s nice that you can talk about it. It’s an organisation that started in 2014 but it’s already so good and trustworthy! And that’s very nice to see. 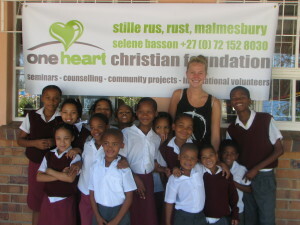 One Heart Christian Foundation is an organisation you can depend on! Jente did the teacher assistant program for 4 months with One Heart and the rural school she was placed with. 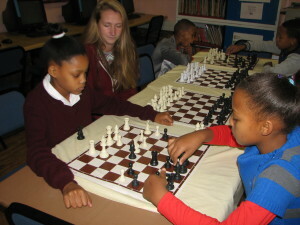 During her 4 months she had a great accomplishment by teaching the whole school (+/- 80 children) to play chess. 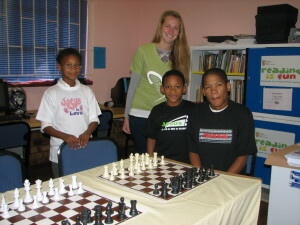 She also organised a chess tournament before she left and One Heart handed out prizes for the winners. One Heart donated a t-shirt from their clothing range to each winner. As part of our sustainability plan, One Heart sells these t-shirts online. 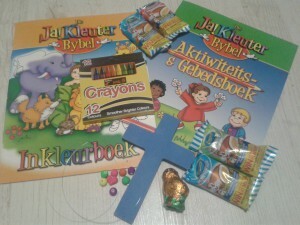 Please have a look at www.oneheartchristianclothing.co.za. 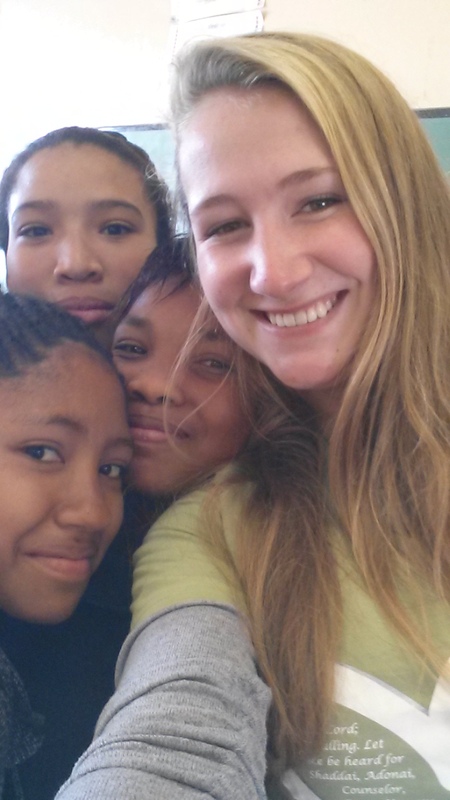 During her 4 months stay she not only helped with the teacher assistant program, but she also helped One Heart with other projects. We had an Easter Project that she and another volunteer made happen, they where One Heart’s angels because if it where not for them, I don’t know what I would have done! 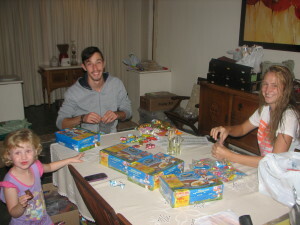 There where so much organizing to be done and help with the execution of the project. Children needed help with the crafts that included fine motor skills and the volunteers did that with them during their art classes.